Fueled by her desire to help others, Dr. Marilyn A. Ray has enjoyed a long career in nursing and education. She started out by earning a Bachelor of Science in nursing and a Master of Science in nursing from the University of Colorado, and a diploma from St. Joseph’s Hospital School of Nursing in Hamilton, Ontario. She obtained a Master of Arts in cultural anthropology from McMaster University in Hamilton, and went on to earn a PhD in transcultural nursing from the University of Utah. Furthermore, she received an honorary degree from Nevada State College. She is a certified transcultural nurse and registered nurse in the state of Florida. Dr. Ray presently holds the position of professor emerita at Florida Atlantic University. She previously served as an adjunct professor at Florida Atlantic University and as a professor of the College of Nursing at the university. 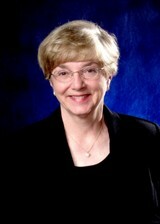 Notably, she was selected as a Christine E. Lynn Eminent Scholar at the College of Nursing there. Some of her other roles included assistant professor at the University of Colorado, assistant professor at the School of Nursing at McMaster University, and instructor at the School of Nursing at the University of San Francisco. One of the highlights of Dr. Ray’s career was serving as an officer in the Air National Guard and in the U.S. Air Force Reserve in the field of aerospace nursing. She is a veteran of the Vietnam and Gulf War conflicts and retired as a colonel after 32 years of service in 1999. She continues to consult with the U.S. Air Force to this day. Dr. Ray’s hard work and dedication over the years has not gone unnoticed. She received the Lifetime Achievement Award from the University of Colorado College of Nursing Alumni Association in 2017, the Honorary Distinguished Fellow of the European Society for Person-Centered Healthcare in 2016, and the Book of the Year Award in2011. She also earned the Distinguished Alumni Award from the University of Utah College of Nursing in 2007, the Leininger Award, and the Transcultural Nursing Scholarship. She is listed in numerous editions of Who’s Who in America, Who’s Who in the World, and Who’s Who of American Women.